Honeycomb Creamery's scoops are heaven in a waffle bowl. Photo by Toan Trinh. Styling: Dan Cellucci/Team Artist Rep.
With vanilla, chocolate, and matcha-flavored homemade cones and a smattering of bold ice creams to top them with, wife-and-husband team Kristen Rummel and Rory Hanlon retain their thrones as dairy queen and king of Cambridge. 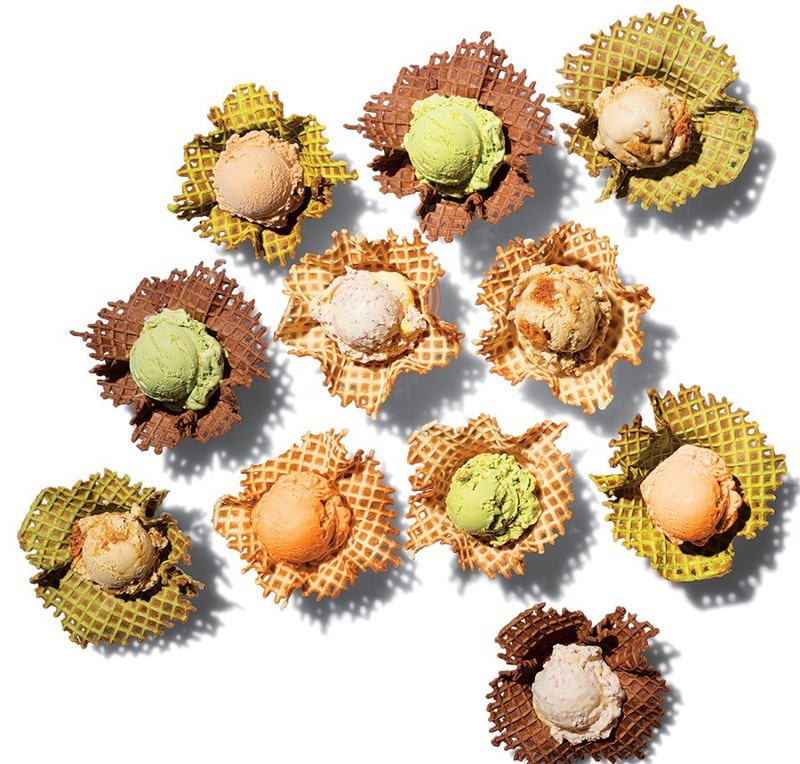 Their quaint shop’s imaginative list of locally sourced scoops rotates seasonally: Standby favorites include cold-brew-coffee chip and malted vanilla, but fresh ideas such as honey lavender and London Fog are palate pleasers, too.